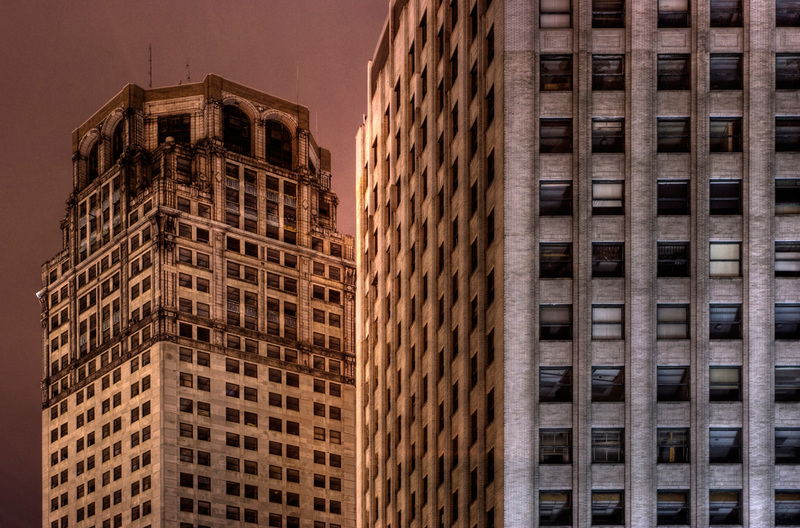 Even the central business district in Downtown Detroit is not immune to abandonment. 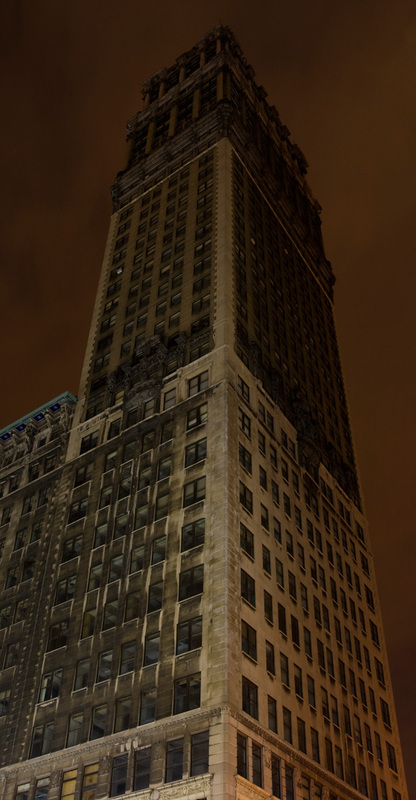 It is unclear just how much vacant office space there is in the central business district, but there are a handful of skyscrapers that are currently completely empty and abandoned: The Book Building, David Broderick Tower, and The Lafayette Building to name a few. 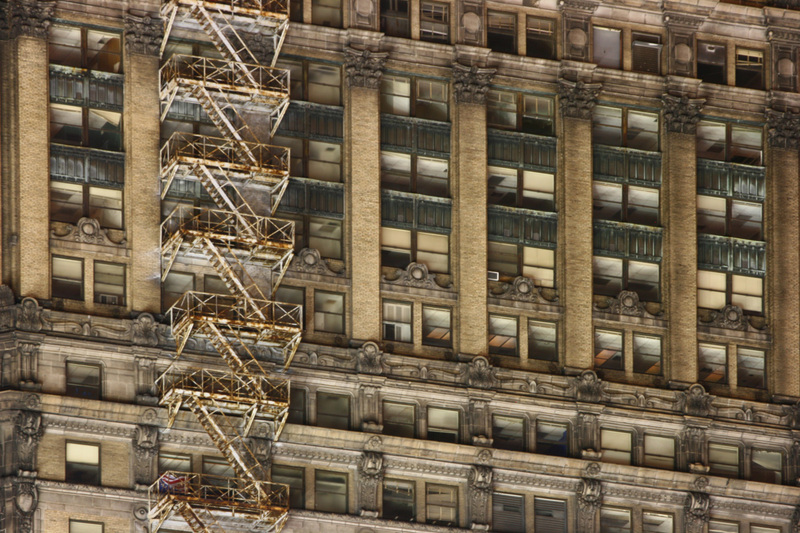 Those buildings are pictured in this gallery. 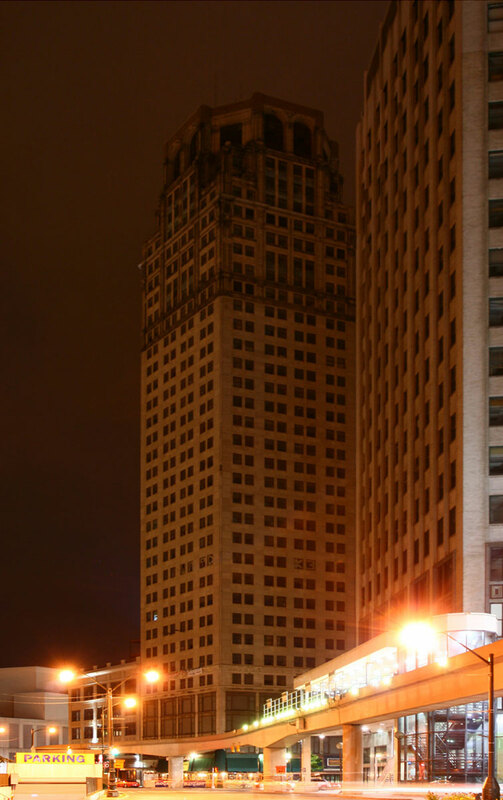 Two abandoned towers in downtown Detroit. 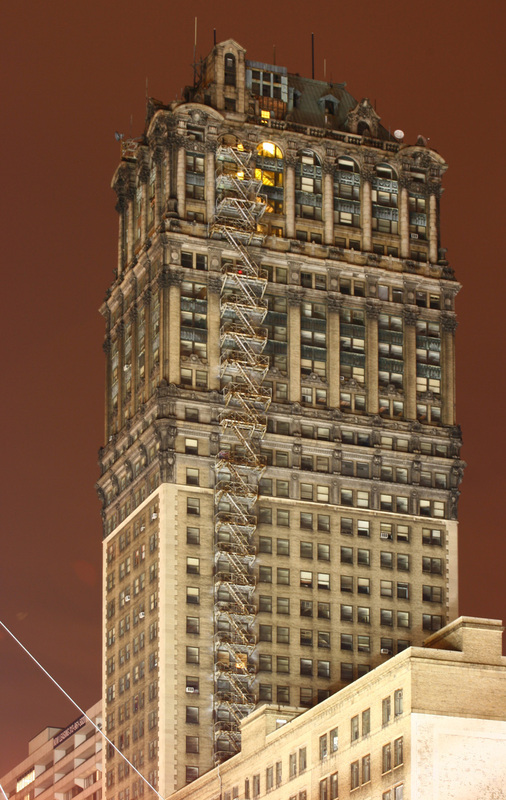 Book Tower, the 9th tallest building in Detroit, is completely abandoned. Facade of the abandoned Book Tower. 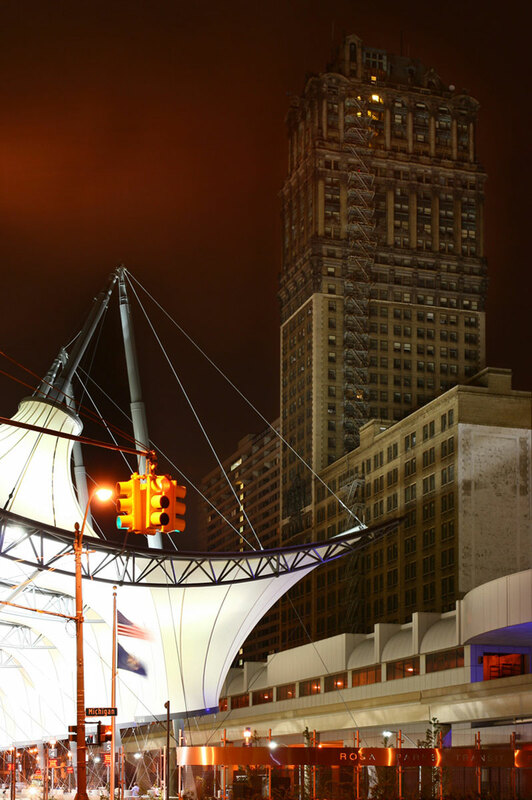 Bus terminal, and the one light still burning atop abandoned Book Tower. 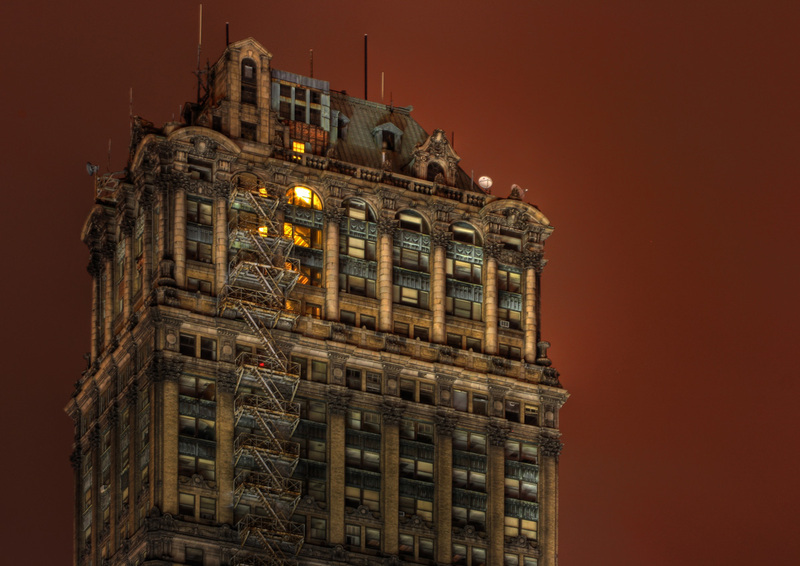 The David Broderick Tower in downtown Detroit is completely abandoned. Only one light in the stairwell of this abandoned tower remains on.